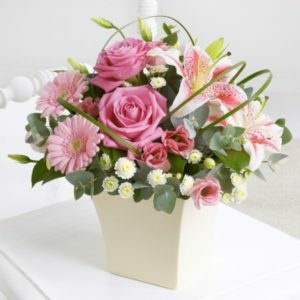 This chic arrangement comes with a ceramic dish, with oasis, so its low maintenance, just need to keep the water topped up. 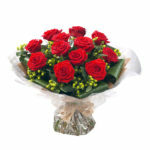 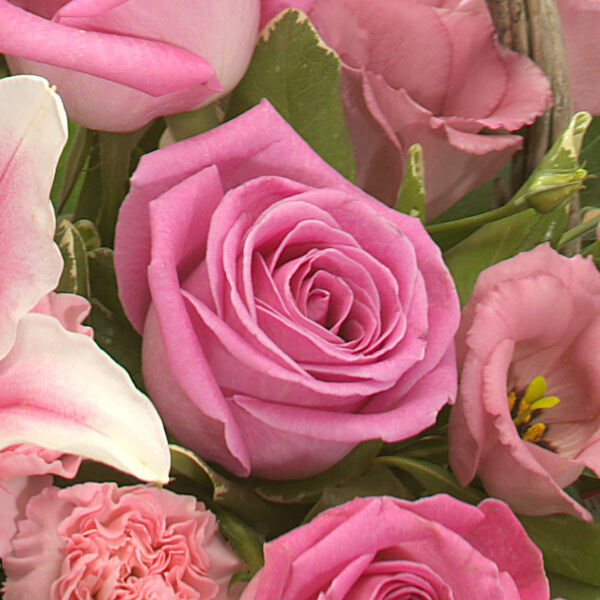 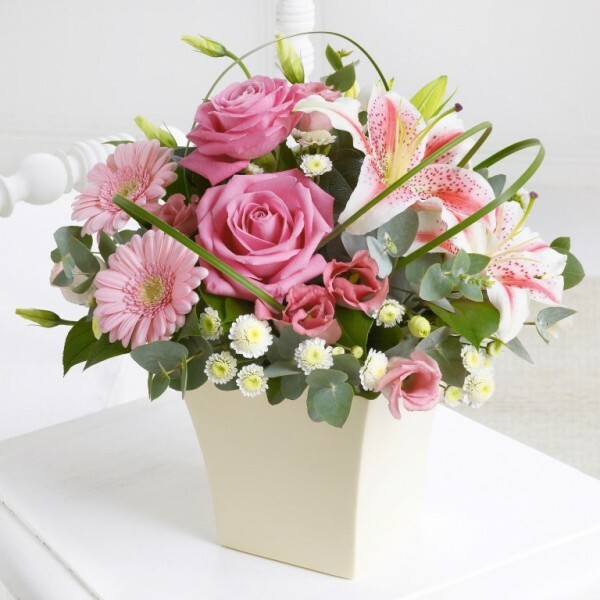 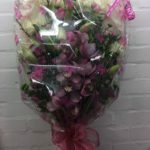 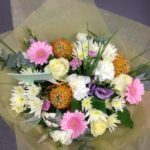 With stunning pink roses, lillies, beautiful germinis, lisanthus and spray chrysanthemums. 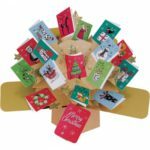 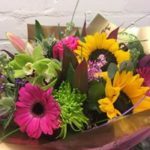 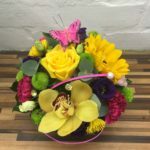 Comes in a range of colours,if the colour that you would like is not available please contact and we will make an arrangement to your chosen colour scheme.